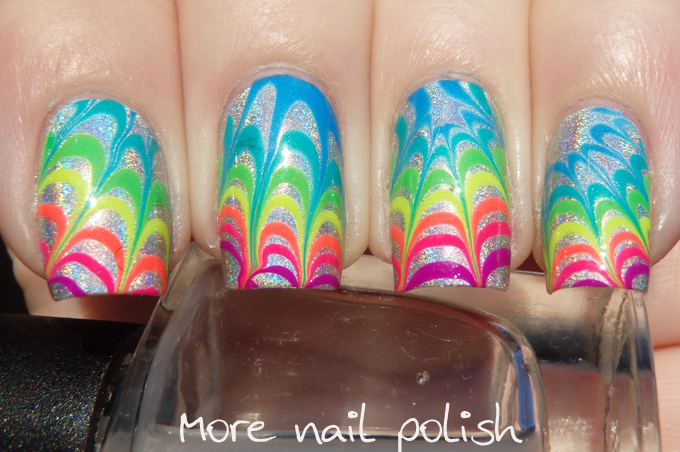 I used to get so worried about watermarble day in the challenge, it's either going to work amazing for you, or be a horrible mess. 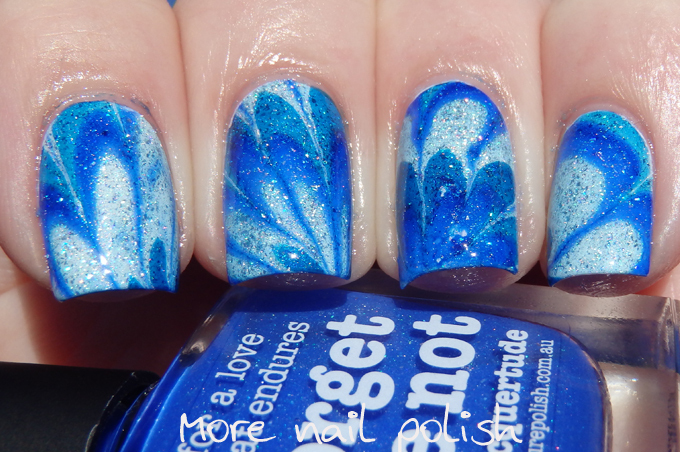 Generally if you have the Pipedream ANIVC then it's going to be a good watermarbling day, and luckily for me - I do! 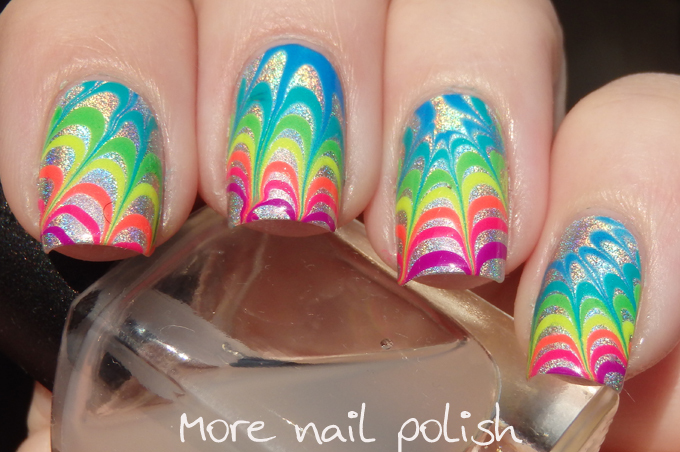 I really wanted to get all the colours from the collection onto each nail, which meant I needed to do a very tight watermarble. 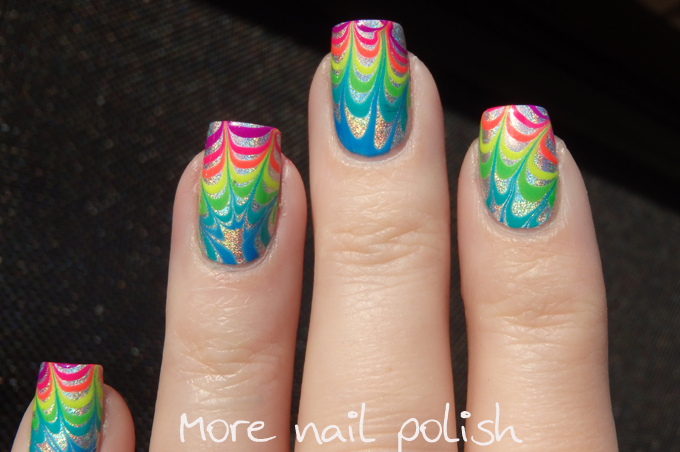 I used my own polish mix for the clear polish between each drop when making the bullseye and was happy that I got all seven colours on each nail. 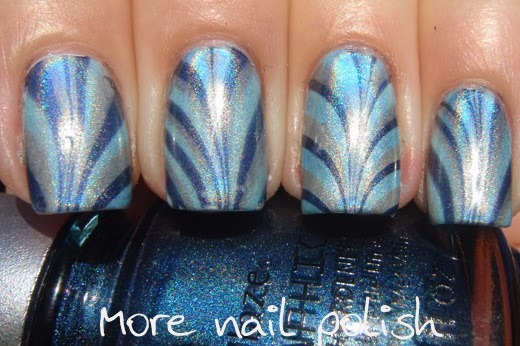 My base is Nfu Oh 61 - silver holo and then I added the watermarble over the top. I like how these almost look like a spiders web. 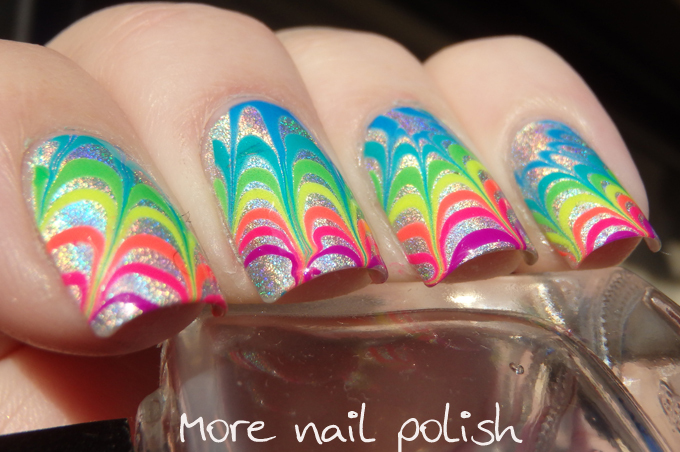 Love your water marble. You did a great job! Stunning! 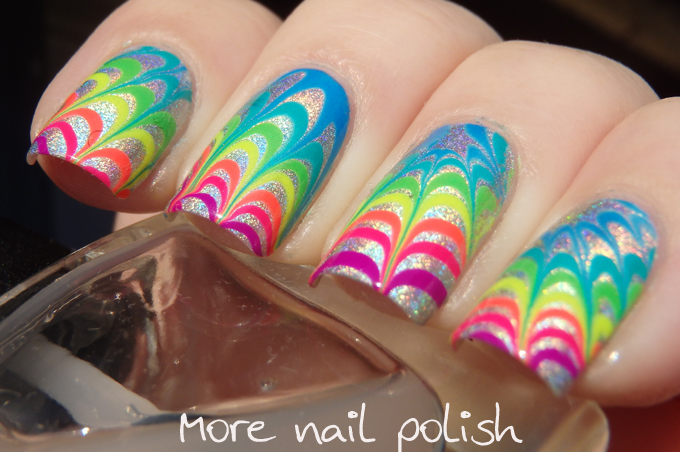 I love how the negative spaces work together with the rainbow colours and the holo.